Car Design Academy’s #2 Monthly Design Competition evaluation was held in the end of September, “ A Compact Car in Mumbai, India, 2018.” This time 30 Japanese program students and 16 English Program students participated. Every one has squeezed a various interesting idea. If you are interested to see the #1 competition results, please take a look for the link below. A theme for July was “Crossover/SUV for Tokyo, which will debut in 2018” (See more information about Mr. Yamashita, click here). Let me ask you what is your image of Mumbai. 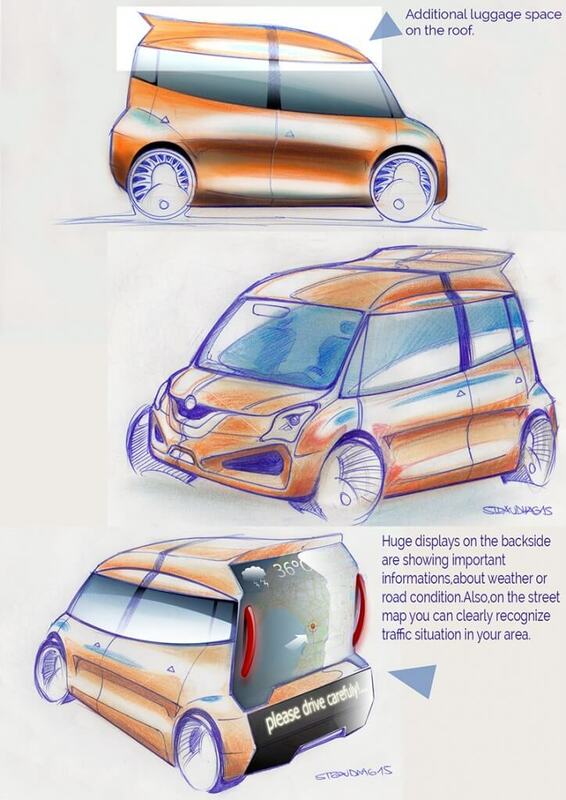 If you are given this design theme of “A Compact Car for Mumbai in 2018”, what kind of car would you propose? Keywords which our instructors came up are such as “Energetic Emerging Country Vitality.” Mr. Can, our instructor said that designer should not be handcuffed with the Compact Car image to propose small size exterior. Rather he encourged and evaluated high for those proposal which expressed vital image by its shape or color. So, please take a look for those got awarded in this design competition. And always think if you are in the contest, what kind of car will you propose. This time location is free. Bus will be used for long distance connecting 2 cities, which makes passengers/ viewer to feel thrilling/excited, when they get on or look at. In addition to the Theme of “makes passengers/ viewers to feel thrilling/excited, when they get on or look at”, works will be judged by “Originality”, “Attractiveness”, and “Sketch Skills” as usual. We are so excited to inform you that Hino Motors, one of the largest Truck/Bus company in Japan has decided to evaluate #3 Monthly Design Competition works at Hino Motor’s office. Mr. Matsuyama, Design Director of Hino Motors, will judge students’ proposals in addition to regular CDA designers. He is going to tell us from his professional view points how commercial vehicle design should be. 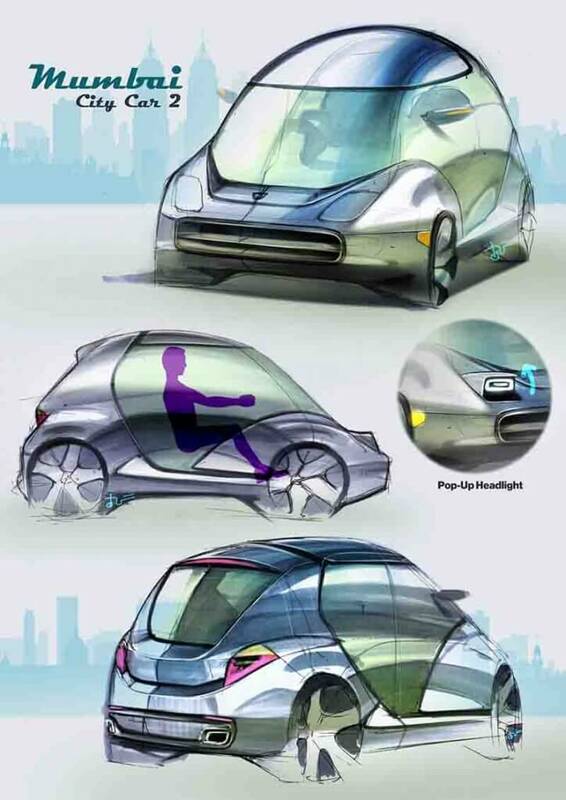 It is rare occasion that students’ proposal will be evaluated by the car company design directors. Also all his staffs will join this evaluation meeting.